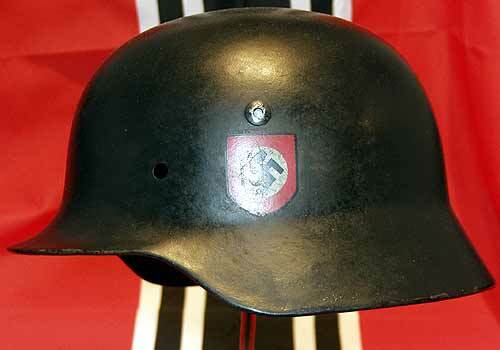 German M35 Waffen SS (Schutzstaffeln) or Allgemeine SS Parade Helmet : This is a genuine German WW2 helmet painted in satin black with post war decals and name. 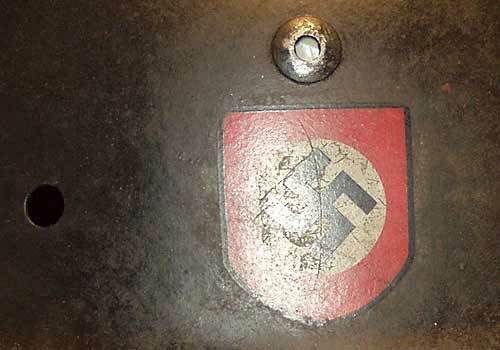 It has the early pattern 'SS' runes on the right hand side and the national swastica on the left hand side, both showing appropriate wear and ageing. 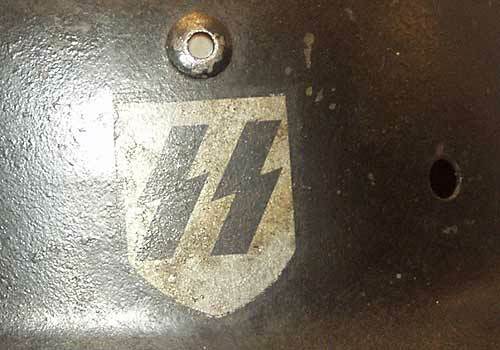 This combination of decals was discontinued later in the war. 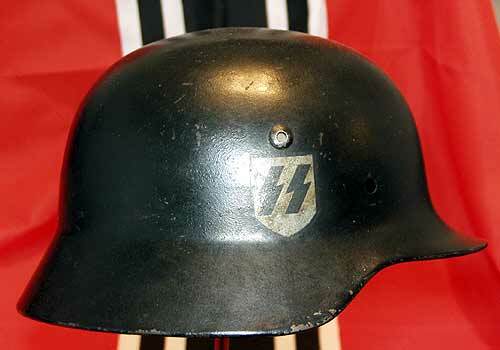 The helmet has two markings: '4031' at the rear edge - which is the batch or production number and ET60 which is the manufacturer number and helmet size (60). 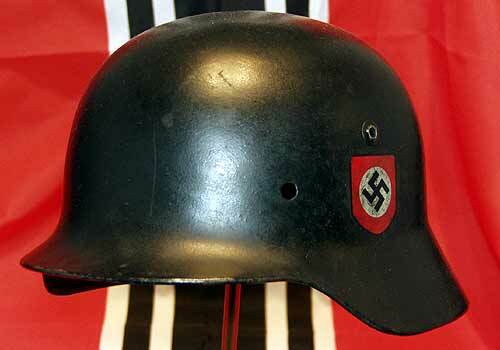 This is a very rare size of helmet. There is a name painted inside the rear rim 'SS Pl. L. Schmidt'. Further information can be found on this type of helmet here. www.german-helmets.com. There is no liner or chinstrap and the decals have a protective lacquer, as the original decals would have had. 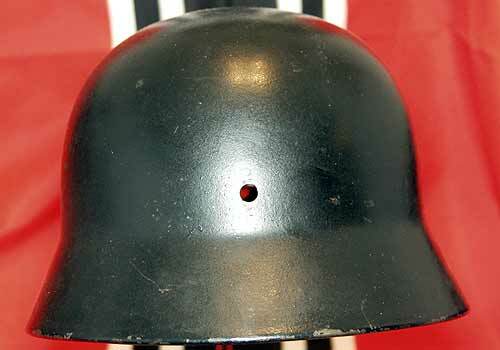 There are belived to be less than 20 original versions of the satin black double decal SS M35 helmets existing. 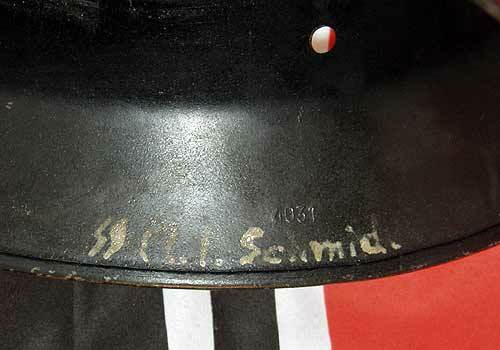 I repeat the helmet is 100% genuine and the decals are post war! 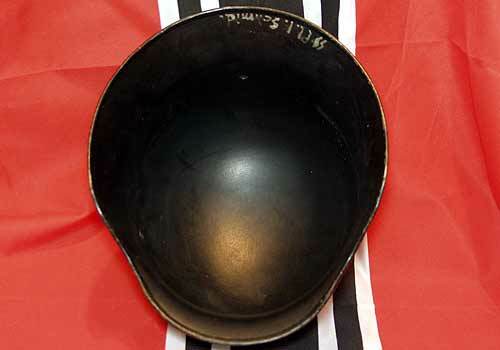 A great item for the Waffen SS, Allgemeine SS, or German Helmet collector!